* We raised our fifth Green Flag! 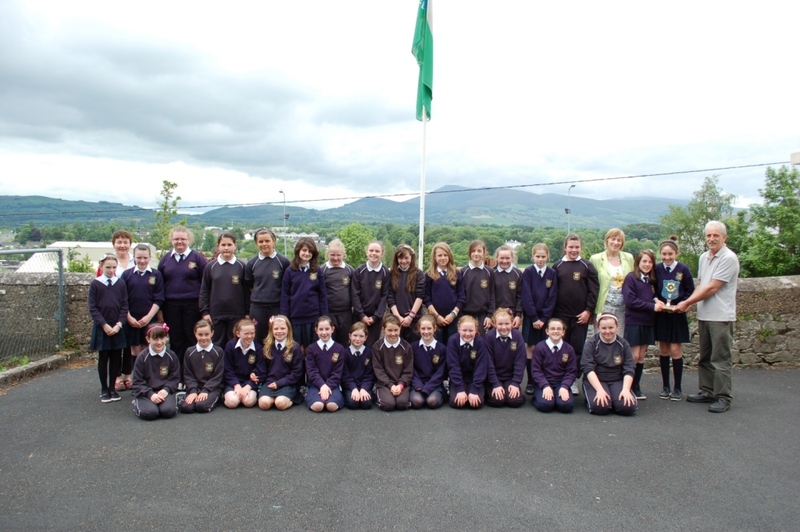 New Green School committee 2012/2013 with Ms O'Connell and Ms.Horgan. Well done to members of the new Green School committee. We look forward to working with them in the road to our next Green Flag. The new members were elected in February 2012 and announced in an assembly in which the winners of the tidiest classroom were also given awards. 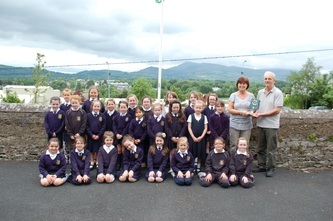 Well done to 1st class and 6th class who won the tidiest classroom awards this year. Thank you to our caretaker Mr Billy Murphy for presenting them. 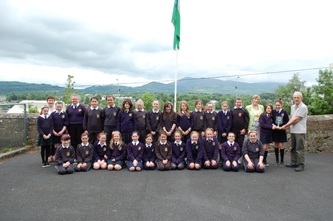 Our school received the second green flag in 2011. 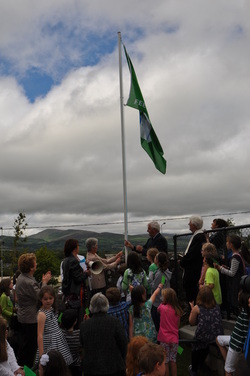 This flag which was for ENERGY was raised on the occasion of the centenary of the school on 25th June 2011. 'Let's do the world a favour, make Bunscoil an energy saver'. Everyone in Bunscoil is committed to working together to make our school a more environmentally friendly place. 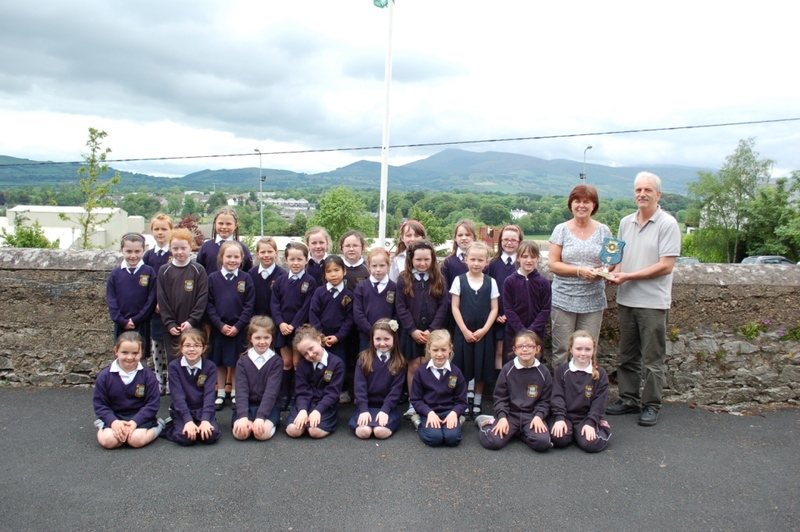 Our Green School Programme is headed by Ms Murphy and Ms Horgan. We constantly monitor our energy usage and our waste. We have energy monitors in each class and we award 'Tidiest Classroom' to whatever class is making the best effort to monitor their classroom. - Stop using too much oil. You're making the earth boil. - If you're cold, put on a jumper instead of turning up the heat. - It's not cool to waste fuel! - Múch an solas, dún an doras.